Hilarious and a bit unsettling. What else would you expect from the brilliant mind of fearcondom? I’m not crazy about the music selection on this one but the repeating patterned animation is top-notch. Well done, TheBrute. Loved watching artists Supakitch and Koralie do their stuff. Gorgeous, trippy, and fascinating work being done by these two. Do video game characters have their own will? A mind bending video made by french creative geniuses, SUPERBIEN. Moar plox. 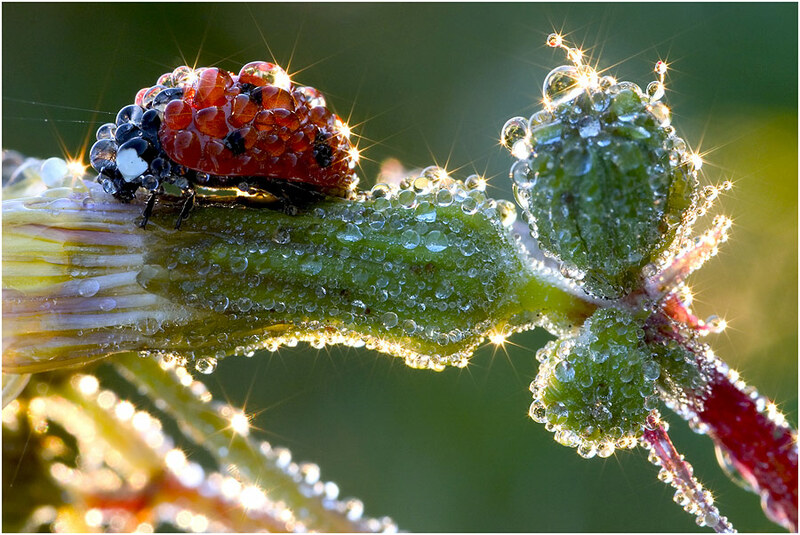 Igor Siwanowicz is a biologist and a photographer, and he blends those fields together beautifully in his up-close photos of bugs, insects, and other animals.You can see a random collection of his photos here. 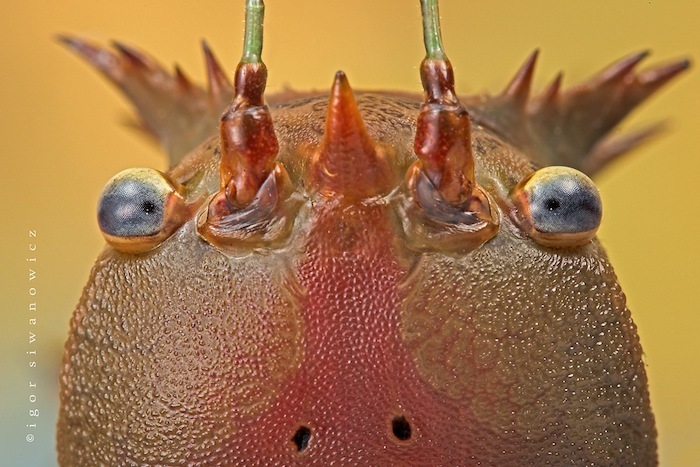 Vivid, diverse, and often wonderfully trippy, his photos show bugs in ways you may never have thought possible. The official music video for ‘The Music Scene’ by Blockhead. An animated mind melt into a post human New York where TV and animals rule. See episodes one thru nine here. This reminds me of ‘Adventure Time’ in all the best ways. Enjoy. Though Wanderlust is pretty awesome I think this is my favorite Bjork video. If The Tripatorium™ had a physical headquarters this is what I like to imagine it would be like. I finally got around to watching this excellent episode of PBS’s Nature a couple of nights back on my DVR. It’s all about crows and how insanely intelligent they are. I’ve embedded the first chapter here and, if it whet’s your appetite, head on over to the PBS site to watch the entire episode. A gorgeous, trippy video projection created for the 600 year anniversary of the Old Town Square astrological tower clock in center of Prague. The intricate mapping was done by macula. A must watch. Check out this “mesmerizing choregraphy evoking atoms, DNA, seeds, spirals, fractals” by Regis Hervagault. Great stuff. Crazy precision. Wait for it…. He should start making hi-definition animations.